One thing we may all agree on: Stress feels like a constant presence in our lives. From our day-to-day responsibilities to happenings around the world, intense moments and feelings are something we’re all trying to get better at managing. What if you could feel less stressed with a few simple words? For all the reasons you may be feeling frazzled or spread too thin, it’s time to take back your sense of calm. We gathered some of our favorite mantras from Shine meditations to help you find relaxation and peace of mind when you need it. For all the reasons you may be feeling frazzled or spread too thin, it’s time to take back your sense of calm. Repeat one of these phrases and let their words remind you that your strength and resilience will always see you through stressful times. 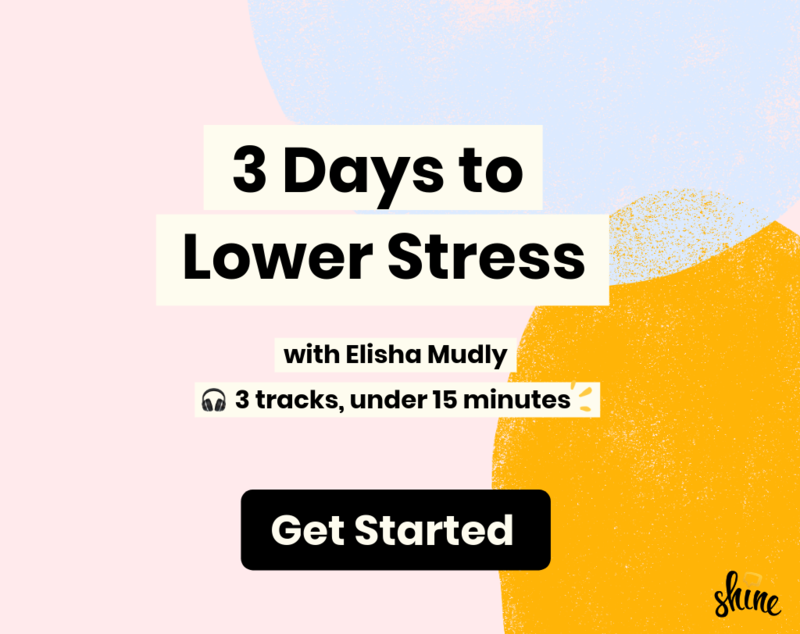 Plus: Click the headphones to listen to a stress meditation in the Shine app built around the mantra. When I take deep, conscious breaths my body relaxes. I am who I am right now because of my experience, but I am not defined by one single experience. My body fills with light and I feel still, calm and ready for what’s to come. I can manage my stress using the power of breath. I can be kind to myself as my priorities shift. My body deserves time to rest and recharge. Taking time to recharge now will fuel me long term. By seeing the positives in a negative situation, I can better learn from it. I won’t pressure myself, I’ll simply listen to my own body. My relationships help protect me from stress, and I can channel their love whenever I need it. I will lower the volume on the voice of imposter syndrome and celebrate my achievements. I move through stress with a steady calm. Saying no helps me show up for myself and protect my energy. I have the power to settle my mind.